When you think of museums, do you think of musty, closed spaces where people tiptoe around reverentially, and where the glass on the showcase reflects light to make the exhibits look hazy? If yes, then come and visit this open museum by the sea, in bright sunlight and waving palm fronds. Here, the blue of the Pacific Ocean frames one side of your view while on the other side are lines of Tequila bars, restaurants and souvenir shops! View the exhibits, enjoy the sea breeze and take a sip of tequila or eat a snack as you stroll down the embankment. Finally, pick up a souvenir to remind you of this museum of delights! In the beginning, The Malecon did not always exist though. In early 19th century Mexico, the silver mines in the hills near the Banderas Bay (the bay of flags) on the Pacific Ocean brought in merchant ships to carry away silver. But the Bay, near the swampy Cuale River, only had crocodiles as permanent residents. Except for the intrepid silver miners and the sailors of a few visiting ships, no one ventured in those parts. There was no Puerto Vallarta those days. Settlements take long to establish and though a small township grew up along the Bay of Banderas, till the 1950’s Puerto Vallerta was an unknown backwater. It remained in obscurity for another decade, visited by a few lovers of its secluded wide beach. But then fame came to Puerto Vallarta in the form of the great Hollywood film director John Huston and his cast of the Night of the Iguana that starred Richard Burton, Deborah Kerr, and Ava Gardener. Elizabeth Taylor, then madly in love with Burton, also came down to live in the city although she had no part in the film. It was 1963, and there was no looking back for the township that grew and grew to become the second most popular beach resort in Mexico, second only to Cancun. The influx of tourists brought prosperity and development. 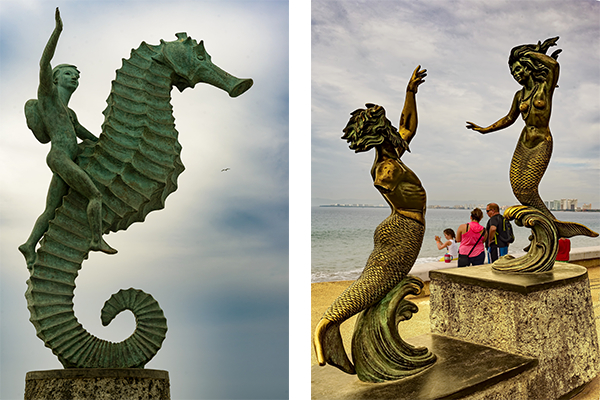 The beauty of the Banderas Bay was made accessible to tourists by a newly built broad-walk or Malecon that was made a showcase for some of the famous sculptures of Mexico. Thus, the museum by the sea was born. The sculptors and their worksLocals and visitors no doubt have personal favorites amongst the sculptures. However, most agree that the outstanding ones include one of the oldest, a youth riding a Seahorse sculpted by Rafael Zamarripa erected way back in 1976. Locals and visitors no doubt, have personal favorites amongst the sculptures. However, most agree that the outstanding ones include one of the oldest, a youth riding a Seahorse sculpted by Rafael Zamarripa erected way back in 1976. La Nostalgia by Ramiz Barquet, 1984, showing the figures of a man and woman sitting side by side, gazing out toward the city. The sculpture immortalizes his love for his wife who he finally married after a separation of 27 years! Triton and Nereid by Carlos Espino 1990. This is a classic work showing the mythical Greek figure Triton, son of sea-god Poseidon, reaching out his left hand to a Nereid, or sea-nymph who reaches back, whiles riding on a wave. The Rotunda of the Sea by Alejandro Colunga 1997. This is a large collection of 8 monumental high-backed bronze chairs. Each whimsical piece mix of exaggerated human anatomy, surrealism, and fantasy. The sculptor’s inspirations are based on folk stories that he had heard as a child. The Search of Reason by Sergio Bustamante 1999. It features two carefree children climbing high on a bronze ladder, reaching out to the sky while their mother, robed and hands outstretched, calls out to them from the sidewalk below. While some viewers imagine the mother pleading with her children to come down, others believe she is encouraging them to be fearless and continue climbing higher. The Millennium by Mathis Lidice 2001. This gently curving piece represents the passage of time throughout the millenniums. Our hoped-for future is represented by the topmost figure, a partially-suspended woman of wisdom releasing a dove of peace. 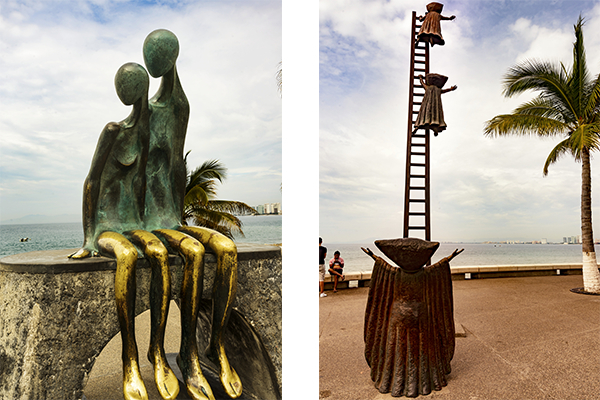 There are, of course, many other sculptures and you may wish to pick your own favorite as you stroll down the Malecon, resisting the tequila bars and restaurants on the opposite side till thirst, hunger or exhaustion overcomes your quest for culture! 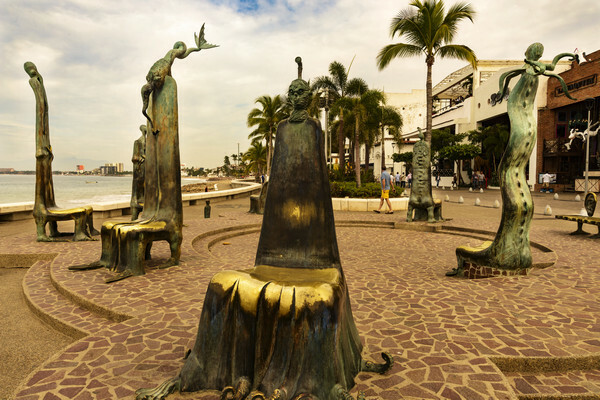 The Malecon used to be a one-mile long boardwalk that stretches the length of downtown Vallarta from the Cuale River at the south to the Hotel Rosita in the north. Near the south end is the large outdoor amphitheater called Los Arcos (the Arches) where live music, cultural events, and the ever popular clown shows are held in the evening. In 2011, the walk was extended further to include many more landmarks, statues, and shops. There is a bridge and more bars and restaurants on the landward side. Walking down, you will reach a circular landing dock with a jetty where the rich and famous get into boats to get to their luxurious yachts after a great night on the town and perhaps too much Tequila? Thanks. The photographs delight the eye; the narrative nourishes the mind. Great article!! I am a resident of Vallarta and even I learnt a lot from your article! 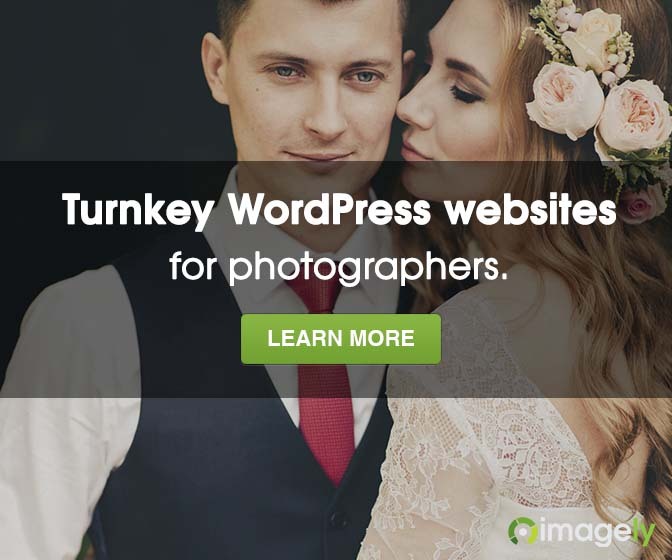 Great pictures too!